Connecticut is one of just a few states that DOESN'T have any student loan forgiveness programs specific to the them. 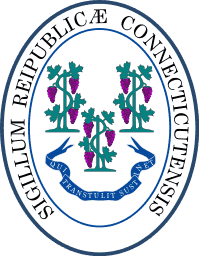 However, residents of the State of Connecticut can potentially qualify for various Federal student loan forgiveness programs. If you have private student loans, it might make more sense to refinance your loans and see if you can get a lower interest rate and payment. We recommend Credible for student loan refinancing because you can find out in 2 minutes or less if it's worth it. Try out Credible here. If you're looking for ways to pay for college in Connecticut, this state does have some awesome programs to make college more affordable. Check out our list of Connecticut Student Loans and Financial Aid programs. If you're not quite sure where to start or what to do, consider hiring a CFA to help you with your student loans. We recommend The Student Loan Planner to help you put together a solid financial plan for your student loan debt. Check out The Student Loan Planner here.